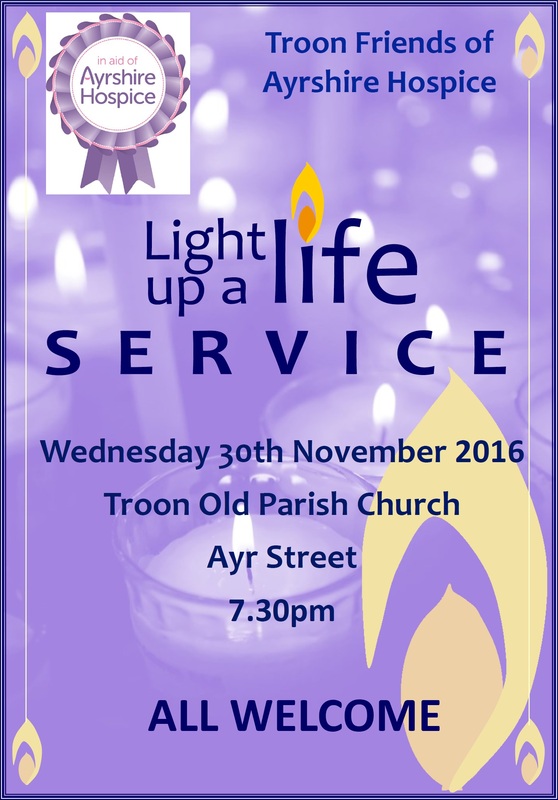 Troon Friends of the Ayrshire Hospice are holding their annual ‘Light up a Life’ service in Troon Old Parish Church on Wednesday 30th November at 7:30 pm. The service will be conducted by the Rev David Prentice-Hyers. This service reminds us of those we loved who are no longer with us. It is a good time to remember and to light a candle to celebrate their lives. You are invited to join Troon Friends in lighting candles to ‘Light up a Life’ and afterwards to share tea/coffee and shortbread in the church hall.